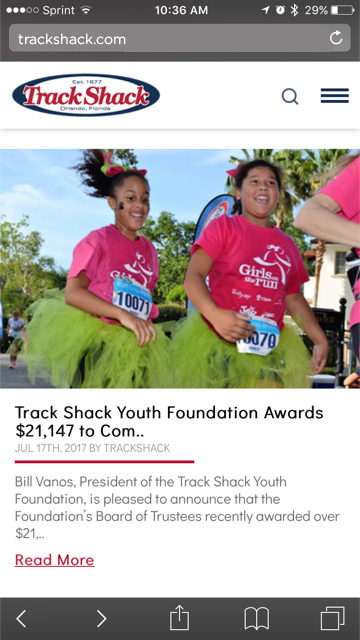 Track Shack - TrackShack.com is Mobile Friendly! We rely on our phones more than ever and that’s why we are excited to launch our mobile friendly website. 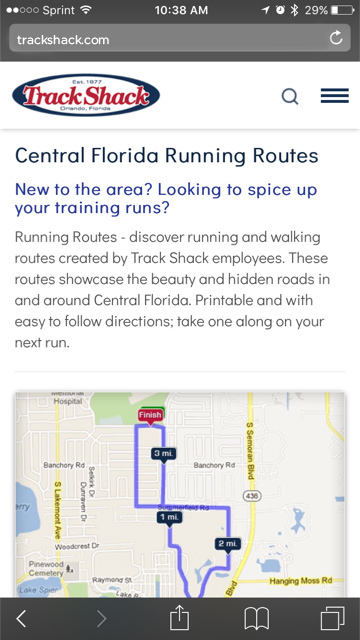 With a similar look, the mobile friendly changes make visiting TrackShack.com easy and enjoyable while you’re on the go. It’s easier to sign up for events and training programs. You’ll love how easy it is to search results and screen shot your finish times! We anticipate seeing a lot more social posts with screen shots of results. On a mobile device or tablet, you can check out the Retail shoe selection too. From the home screen click on [ Find Your Fit ]. Want more? Click on the menu at the top to see all the Retail pages. You can view new arrivals, swipe through our shoe & apparel selection, nutrition options, tech and runner friendly gadgets. Something that hasn’t changed is our core mission of personal service, to fit each person. So plan on doing your purchasing at the store to ensure you buy the shoe that fit your feet best! 1. Scroll toward the bottom of the homepage to see the latest news in the BLOG section. 2. 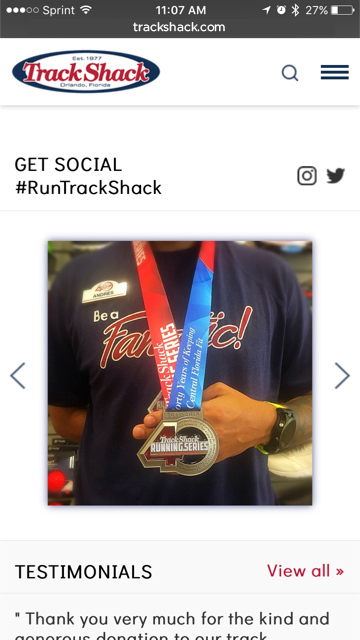 Use the hashtag #RunTrackShack on Facebook and your photo may be selected for the GET SOCIAL section of the hompage. 3. If you love to give reviews, the TESTIMONIALS section has been updated to make it easy to share your experience. Testimonials are found at the bottom of the homepage and in the CULTURE section. 4. 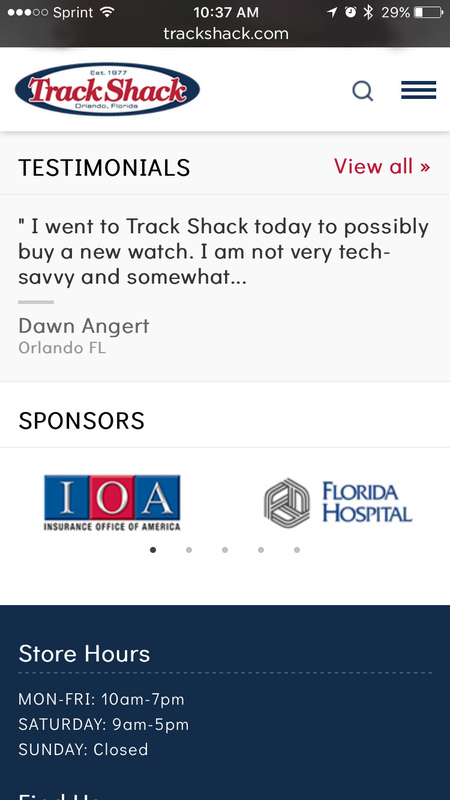 Use the hamburger menu at the top to view the main navigation on Track Shack. If you want to go to the previous page you visited, use the back button on the bottom of your screen.